Forced to return to the ski lodge where she once worked, Savanna Holt is reminded of one special Christmas and how ambition led her to make the worst mistake of her life: Leaving Luke Nelson. Stunned to discover Luke never left, but worked his way up from lift operator to manager, Savanna sees the opportunity as a gift from God. She’s determined to win Luke back. But Luke wants no reminders of his past hurt, or a relationship with the woman who put ambition before love. Can Savanna convince Luke she’s changed and her interest isn't because of his position? And when her dream job beckons, will she sacrifice her dream for a second chance at love? The steady drizzle switched to a fierce spattering of rain mixed with snow as Savanna Holt exited the freeway and headed east toward the mountains. She switched the wipers to double time and checked the rearview mirror. Mylie was still dozing, her soft, red curls pressed into her princess pillow. Savanna smiled. Her goddaughter had turned out to be a pretty good little traveler and hadn’t complained much in the four hours since she’d waved goodbye to her mama. Savanna suspected her best friend, Natalie, had mustered every scrap of willpower she had to keep from gathering up little Mylie for another last hug before sending her off to spend Christmas with her grandparents. Savanna also suspected Natalie was the one needing the extra hugs, considering what the coming days with her dying dad would bring. According to the forecast, the pass was already getting plenty of snow. The couple winters she had spent working at Evergreen Ridge Resort taught her several things—like how a blast of fresh powder would heighten the holiday spirit at the popular Oregon ski lodge. Not that this trip would have her sticking around long enough to sample the Christmas spirit or the skiing. If she’d left home earlier, as she’d intended, she wouldn’t have to be on that mountain any longer than it took to deliver Mylie-Bug to her grandparents and kiss her goodbye. But as late as it was now, driving down a slick mountain in the middle of the night after a full day on the road was asking for trouble. The Freemans had insisted on booking her a room as a way of saying thanks for delivering their granddaughter. No problem; she could leave early in the morning and still get to her mom’s place in plenty of time to catch a Christmas Eve re-run of It’s a Wonderful Life. Lord, help my mom. I’ll do what I can to help her, but I can’t change her. Only You can. Savanna eased out a sigh. I should know—You changed me. The windshield fogged. She cranked up the defrost and checked on Mylie again. Turning up Rocking Around the Christmas Tree, she focused on the road. When Natalie asked Savanna for this favor, she had smiled to cover her reluctance and agreed to help her friend. Natalie's father was dying and her husband was deployed. Besides, all she had to do was take Mylie to Evergreen Ridge where Natalie's in-laws were celebrating Christmas. Natalie would do the same for her in a heartbeat. But the gnawing in her gut reminded Savanna what the task would entail. Seeing Evergreen Ridge at Christmas would unleash an avalanche of memories, taking Savanna back to her last Christmas there, summoning all the emotions and sensations as if it were only yesterday. The majesty of the pristine, snow-coated mountain rising behind the lodge, the glow of twinkling lights, the rustic-yet-elegant beauty of the décor, the blazing fire in the massive stone fireplace, the amazing aromatic blend of fir and peppermint and spice—everything would probably be just like it was before. Everything except for Luke’s quiet, heartfelt proposal and her melting into his arms with a breathless yes. Everything except that part. Without warning, images of Luke’s calm, green eyes and amused smile spilled into her thoughts, stirring up a fresh burst of regret. The kind of regret she could only put to rest by praying, again, that she was done learning life’s most important lessons the hard way. As they passed through the last of the foothill towns, the snow-rain mixture hitting the windshield turned to fat, dry snowflakes. Any hope of reaching the lodge before dark vanished, but she pressed on. Although she was in no hurry to revisit a place adorned with twinkling reminders of what she’d lost, the sooner she delivered her little Christmas angel, the sooner she could turn her car around and get off that mountain. That got a tinkling giggle from the four year old. “OK—I’m asleep.” Her head flopped against the pillow, and she belted out a string of snores. With a chuckle, Savanna rounded the last turn and ascended the lodge’s drive. The sight of Evergreen Ridge’s main entrance brought instant relief to Savanna’s tense shoulders. Battling thick, steady snowfall had slowed her progress up the mountain by an extra hour. Since the Freemans had called her cell phone several times before she lost signal to see if she and Mylie were OK, Savanna knew the older couple would be as relieved as she was at their arrival. Behind the lodge, long rows of lights cut blinding white paths into the dark slopes, illuminating the way for night skiers. Savanna quickly pulled her gaze away. No more falling for strong, silent ski instructors. One was enough. Swallowing against the ache that crept into her throat, Savanna pulled over near the entrance and parked in the loading zone. A life with Luke would have been enough. More than enough. If only she’d gotten her head screwed on straight and realized that before Fed-Exing his ring back to him and making the biggest mistake of her life. 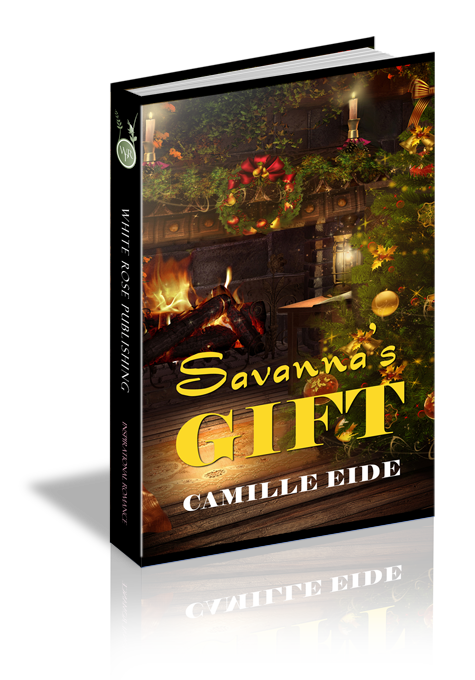 Even though the change had come too late, Savanna had changed. It had taken some time and lots of bungled, gut-wrenching prayers, but she finally put the Luke-and-Savanna season of her life behind her. Along with wondering where he'd ended up in his search for year-round snow. Who he'd married. If he was OK.
Because whatever had become of Luke Nelson was no longer her business. Thanks to impressive valet and bell service, Savanna stood inside the reception area with Mylie within minutes of arrival, marveling at the charm of the lodge’s rustic beauty. They waited their turn at the front desk. The attendant checked her in and took a second look at his monitor. The Freemans. Savanna covered a smile. It was actually nice to have someone worrying about her. She led Mylie out of the reception area and into the massive main lobby, and then stopped. They had stepped into a magical winter wonderland. Though she’d expected beauty, her breath still caught at the sights before her. Thousands of little white lights twinkled everywhere—in corners, along the thick wooden beams, and draped overhead, bathing the lobby in a soft glow. Lighted evergreen garland adorned the log walls in an elegant swag pattern. The fragrance of fresh cut fir and cinnamon-scented pinecones and dried fruit wreaths filled the air. The tall stone fireplace in the center of the lobby housed a roaring fire, filling the lodge with the sweet, musky aroma of hardwood smoke. Two long sideboards along the far wall were loaded with peppermint bark and truffles and iced gingerbread men and spiced cider. Strains of Celtic carols wove in and out of sparkling conversations as guests mingled and sipped and reveled in the warmth and magic of Christmas. She felt a squeeze on her arm, and she looked down. Mylie’s eyes glittered from all the tiny lights. She let out a squeal and Savanna followed her gaze. A giant tree, at least twenty feet tall, stood in the adjacent Fireside Room near the long windows overlooking the deck. Dazzling colored lights and stars and painted ornaments covered the tree from top to bottom. Shiny wrapped packages spilled from beneath the tree in every direction. “Thank you,” a deep voice said. Savanna turned. A broad-shouldered man in a dark green polo and slacks had crouched to Mylie’s level to ask if she’d gotten a cookie yet. His calm, quiet voice sent tremors through Savanna, raising goose bumps along her arms.